Making string playing more comfortable is a worthy goal, but it’s only part of the Kun story. Our success in achieving it enables us to support musicians in other ways, through scholarships and sponsorships. On the local stage, Kun supports Ottawa’s esteemed Chamberfest, where our President, Marina Kun, was a founding board member. Each year we sponsor several Chamberfest concerts, and attend many more. Kun supports Young String Performers of Ottawa and the Ottawa Symphony Orchestra. We also offer annual scholarships to foreign students at Ottawa University’s Faculty of Music. Nationally, Marina Kun sits on the board of the National Youth Orchestra and Suzuki Stellae Boreales, which Kun supports. Kun is also a sponsor of the Banff International String Quartet Competition, and further afield, the company has sponsored the Palestine Youth Orchestra, Venezuela’s El Sistema and the National Youth Orchestra of Jamaica. Here are more detailed profiles of some of the organisations we assist, along with links to their websites. Music Fund works in partnership with music schools in developing countries and conflict areas. Music Fund collects musical instruments, has them restored and then distributes them to its partners. MF also organizes high-quality workshops, internships and training programmes to learn how to tune, repair and maintain music instruments, organized in the partner music schools in the South and in Europe. MF also opened and equipped repair workshops in some of its partner schools. OrKidstra is a social development program that empowers kids from under-served communities by teaching important life skills – such as teamwork, commitment, respect and pride in achievement – through the universal language of music. We do this by providing children from low-income families with free instruments and music lessons, which gives them the chance to develop these skills through playing and singing together. With the passionate belief in the transformative power of music, OrKidstra started with 27 children in 2007 and now includes more than 600 children, ages 5 to 18, from 42 linguistic and cultural backgrounds. Our vision is a future where all children and youth have the opportunity to discover their voice and build their potential through music. The Makers’ Forum is a non-profit organization whose main mission is to support contemporary violin makers and bow makers in the production of fine musical instruments and bows. By fostering links between instrument makers, the general public and musicians, the organization wants to promote and help to sell the work of contemporary instruments and bow makers. Also, considering that the profession cannot exist without musicians, the Makers’ Forum wants to embrace its social role in developing the presence of music in schools on every level, and supporting the future generations of professional musicians. Youth Orchestra of Northern Alberta – Sistema (YONA-Sistema) is a program offered by the Edmonton Symphony Orchestra. 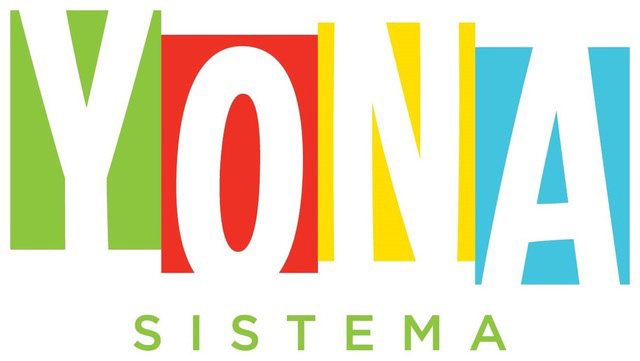 Modelled on Venezuela’s El Sistema project, YONA uses music for social change and teaches the values of unity, harmony, and mutual compassion. Five days a week, 75 students receive group instrument lessons, led by qualified teachers, at no cost to their families and are then bussed safely home. Each year, another group of students participates in a “YONA Explorers” program, which introduced the YONA philosophy, before joining the full program. YONA is unique among both after-school and music programs in that it provides holistic care for all students, encompassing nutrition, free play, academic support, interpersonal skill support, and expressive arts education alongside daily music instruction during the “critical” after-school hours. The Jerusalemite Youth Cultural Forum (JYCF) was conceived by a group of young, educated Jerusalemites committed to safeguarding and celebrating Palestinian culture. The JYCF has responded to the complex challenges faced by young Palestinians in East Jerusalem through an ambitious range of arts programs and activities aimed at boys and girls alike. It offers young Jerusalemites the opportunity to learn about and participate in the cultural traditions of their people. It encourages innovation, and helps develop the talent and artistic skill of its participants, alongside their capacity for joyful collaboration. And it presents seminars, lectures, concerts and artistic and educational workshops to the public at large.